Today I’m making plans for a little waterfall into our new duck pond. This will aerate the water and provide a pleasant watery sound in the garden. The plan is that it will emerge mysteriously from a densely planted shrubbery and meander down a pebble lined creek bed, under a little bridge and into the pond where the ducks like to play. I need to be sure about the right plants for such a feature so that it will look appealing but natural and not too contrived. Of course there is no lovelier water feature than the one in the images below – the spectacular water lily ponds at Monet’s Garden near Giverny in France. I visited Monet’s Garden with my brother Peter back in 1988 when it had not long been opened to the public after a major restoration by an American philanthropist. What an experience … standing in Monet’s very bedroom looking out over the gardens that inspired so much of his work. 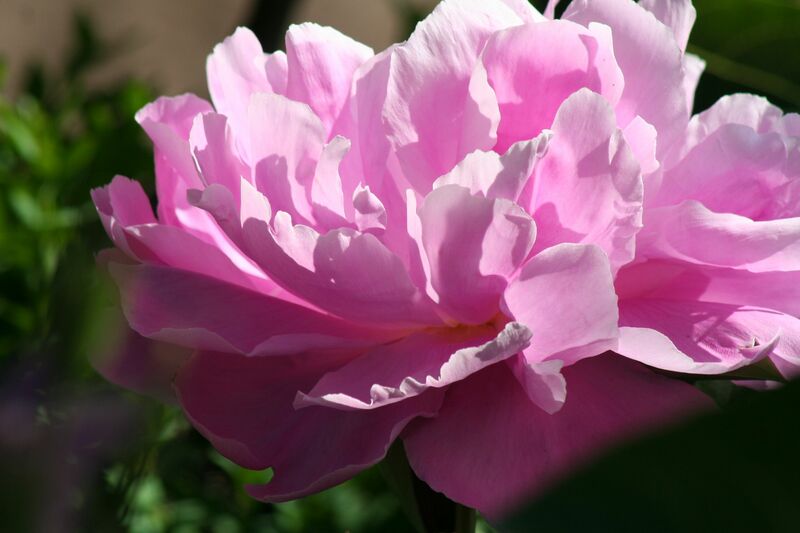 He made the gardens especially to provide subject material without ever having to leave home! Planting over the years on a massive scale to create swathes of light and shadow, blocks of colour and magical water features to challenge his ability to paint reflected light. If you’ve never been, go! 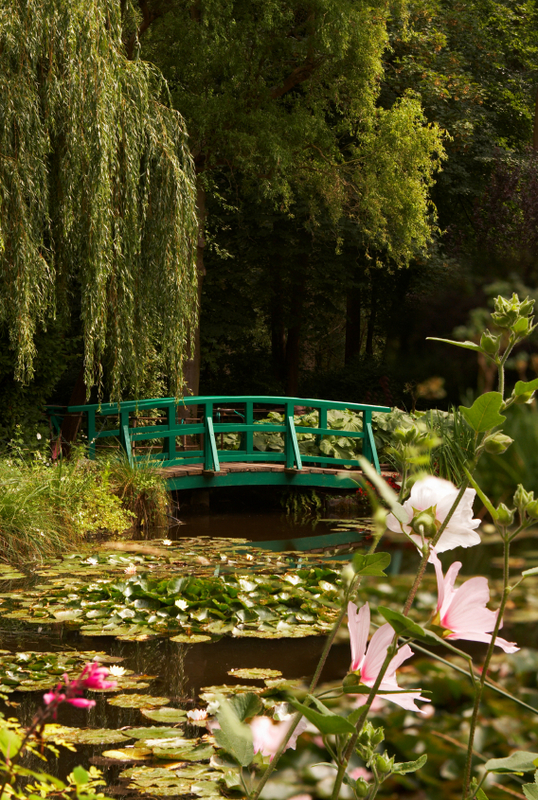 About one hour from Paris by train – stop at Giverny and take a short 3 mile taxi ride to the gardens. No picnicking allowed, so be sure to eat something first … and take your best camera. 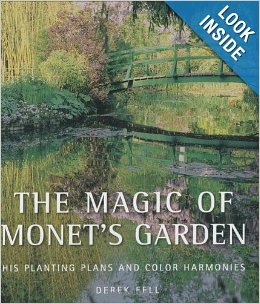 There are many books about this wonderful garden, and ‘The Magic of Monet’s Garden’ is my favourite. Impressionist Claude Monet (1840-1926) created a magnificent five-acre garden that he considered to be his greatest artistic achievement. It was restored in 1980 and is now the most visited garden of its size in the Western world. With its spectacular color combinations and distinctive structural elements, the Monet garden at Giverny, France, inspires the dreams of thousands of gardeners. 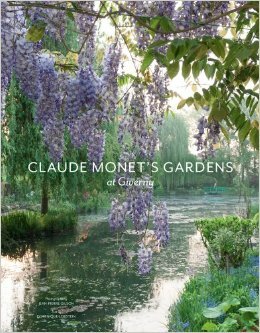 With 175 color photographs and illustrations and a dozen detailed planting plans, The Magic of Monet’s Garden will inspire and instruct home gardeners to create their own versions of Giverny. 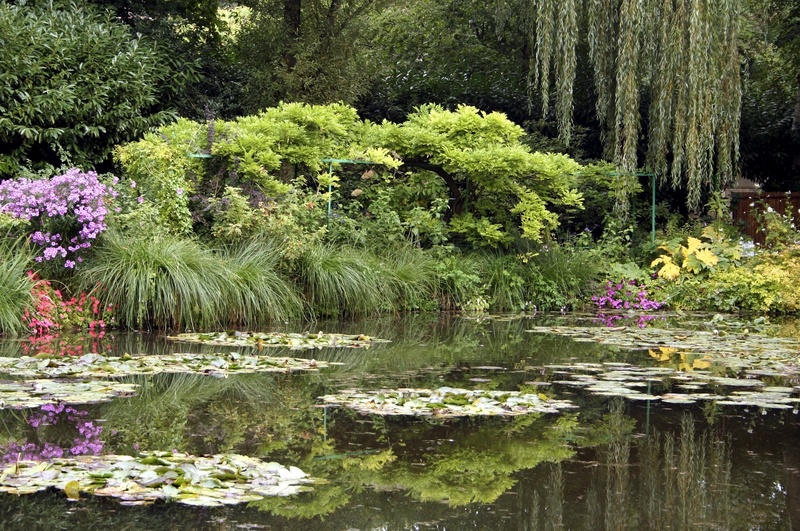 And another you will love is entitled Claude Monet’s Gardens at Giverny.